The rookie is a reserve for the Los Angeles Rams, who will play the Patriots in Super Bowl LIII Sunday. Jamil Demby is hearing a lot from his friends in Maine these days. 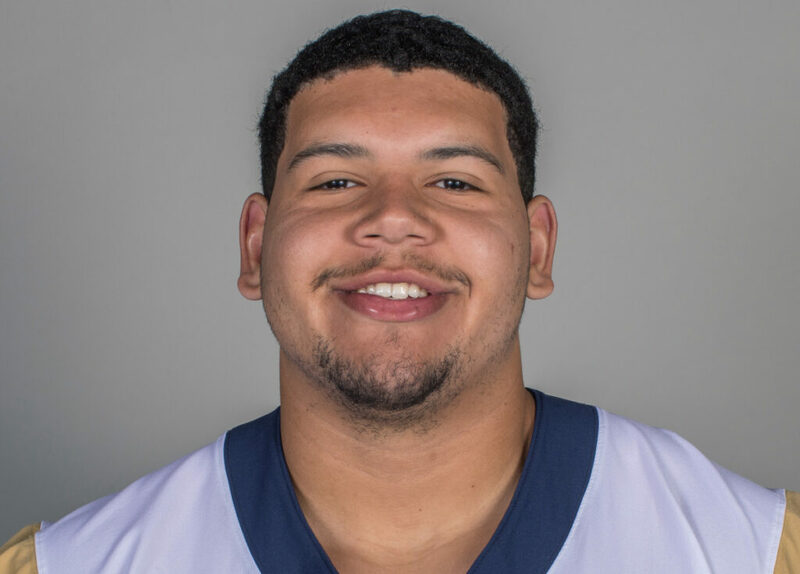 The former University of Maine offensive lineman is a rookie for the Los Angeles Rams, who will take on the New England Patriots on Sunday night in Super Bowl LIII in Atlanta. He likely won’t be in uniform – he hasn’t dressed for a game this year – but the excitement of being on pro football’s biggest stage is evident in his voice. Demby, 22, had an interesting rookie year. Drafted by the Rams in the sixth round last April, he made the team’s 53-man roster out of training camp. But two days before the season opener, he was waived when Los Angeles activated defensive star Aaron Donald. Three days later, Demby was claimed by the Detroit Lions, reuniting him with former UMaine teammate Trevor Bates. He was waived by the Lions a week later, but re-signed to their practice squad on Sept. 20. He remained there until Dec. 12 when the Rams – who needed offensive line depth – claimed him off the Lions practice squad and put him on the 53-man roster. And now, he’s at the Super Bowl. So it was that Demby found himself soaking in Super Bowl Open Night – once known as Media Day – on Monday. He entered State Farm Arena with a smile and recorded almost every moment he was there. Demby is the fifth former UMaine football player to be on a Super Bowl team, joining center Mike Flynn (Baltimore Ravens, 2001), offensive tackle Justin Strzelczyk (Pittsburgh Steelers, 1996), linebacker Lofa Tatupu (Seattle Seahawks, 2006) and Bates (Patriots practice squad, 2017). Jack Cosgrove, now the football coach at Colby College, recruited Demby when he was the head coach at Maine. He said Demby worked to earn a spot in the NFL. “Jamil was really that kid who had the big heart and the great work ethic and the great attitude,” said Cosgrove. “He did all the things right. He lifted and made himself into an outstanding football player and look where he is now. 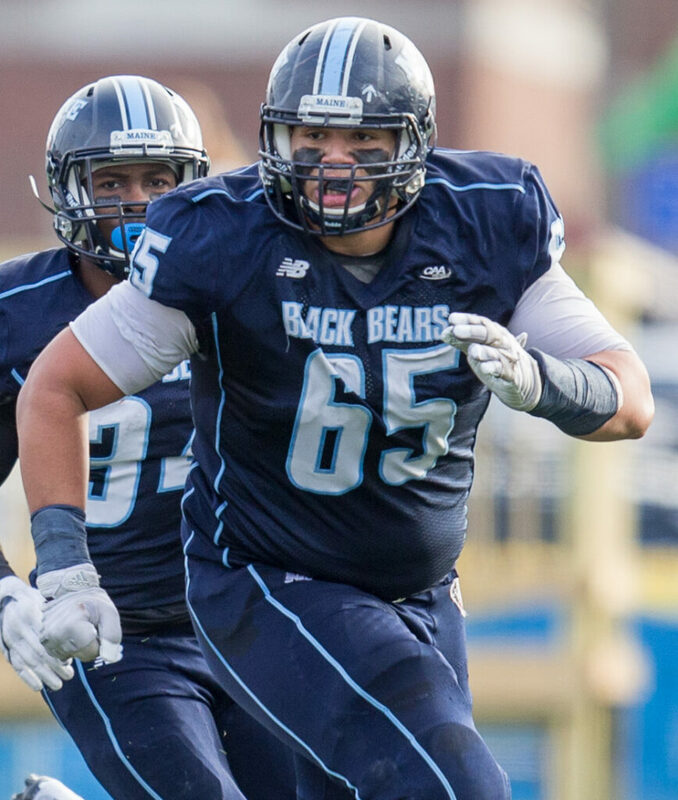 Demby was a four-year starter for the Black Bears, earning his spot right away as a true freshman. He was an all-Colonial Athletic Association first-team choice as a senior. Maine head coach Nick Charlton said Demby’s hand was still in the Black Bears success this year, when they advanced to the national semifinals. Since rejoining the Rams, Demby has been working with the first unit or playing on the scout team. Either way, he feels his game has improved. Having to learn two playbooks this year allowed Demby to have a better appreciation of concepts and what teams are trying to do with their offensive schemes. The 6-foot-5 Demby, from Vineland, New Jersey, said he has also learned his most comfortable playing weight. He’s actually lost 15 pounds from his college days. “When I’m at the 315-320- (pound) range, I’m at my best,” he said. He knows the Rams have a challenge in facing the Patriots, playing in their fourth Super Bowl in five years and third in a row. But he said a lot of people don’t realize the challenges that the Rams faced this year, mentioning the shooting at a bar in nearby Thousand Oaks that killed 12 people and the California wildfires that burned nearby.